Siehe, ich will viel Fischer aussenden (Behold, I will send out many fishers), BWV 88, is a church cantata by Johann Sebastian Bach. He composed it in Leipzig for the fifth Sunday after Trinity and first performed it on 21 July 1726. 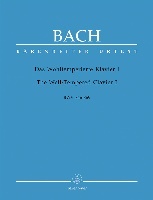 Bach composed the cantata in Leipzig for the fifth Sunday after Trinity. The prescribed readings for the Sunday were from the First Epistle of Peter, 1 Peter 3:8–15 "Sanctify the Lord God in your hearts", and from the Gospel of Luke, Luke 5:1–11, Peter's great catch of fish. The text of this cantata and six others is similar in structure and content to cantatas of Johann Ludwig Bach. The theme is derived from the gospel. A related verse of Jeremiah (Jeremiah 16:16) opens the cantata. The prophecy referred originally to the return from the captivity in Babylon. The central movement, opening the second part to be performed after the sermon, is the quotation of verse 10 from the gospel. The cantata is closed by the final stanza of Georg Neumark's hymn "Wer nur den lieben Gott läßt walten" (1641). This chorale had served as the base for Bach's chorale cantata for the same occasion in 1724, Wer nur den lieben Gott läßt walten, BWV 93, part of his second annual cycle. The opening movement is given to the bass solo, likely because Jeremiah has God speak in the first person. The music follows the text in two sections, as in a motet. Probably therefore Bach avoided the title aria and wrote basso solo instead. The two sections reflect the words "Fischer" (fishermen) and "Jäger" (hunters). The first section paints a seascape in undulating figuration of the strings with the oboes in 6/8 time on a pedal point. Bach "represents the movement of waves and water", termed barcarolle by John Eliot Gardiner. The voice presents the text several times in varied declamation. Suddenly the scene changes to a hunting scene, horns join the orchestra, the tempo in common time is marked "allegro quasi presto". The voice is again set in expressive declamation, saying "And afterwards I will send out many hunters ...". The recitative ends on a question, "Does He ... abandon us to the deceit and trickery of the enemy?" The answer is given in the aria immediately, without the usual ritornello, a passionate: "Nein, nein" (No, no). The middle section begins with a contrasting, but also passionate "Ja, ja" (Yes, yes). 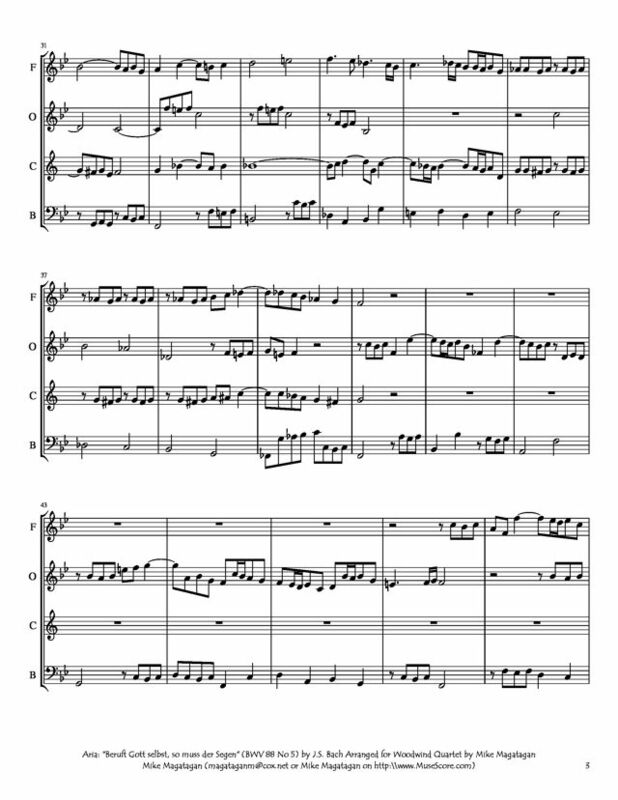 In the very end, the strings join the obbligato oboe d'amore and play a ritornello, reminiscent of a minuet. According to Alfred Dürr, the clear, even structure may symbolize the "rechte Bahn" (right path) mentioned in the text. Movement 4 is the centre of the composition. The tenor as the Evangelist announces "Jesus sprach zu Simon" (Jesus said to Simon). The direct speech of Jesus, calling Peter as his disciple, is sung by the bass as the vox Christi (voice of Christ): "Fürchte dich nicht; den von nun an wirst du Menschen fahen" (Fear not, from henceforth thou shalt catch men.). 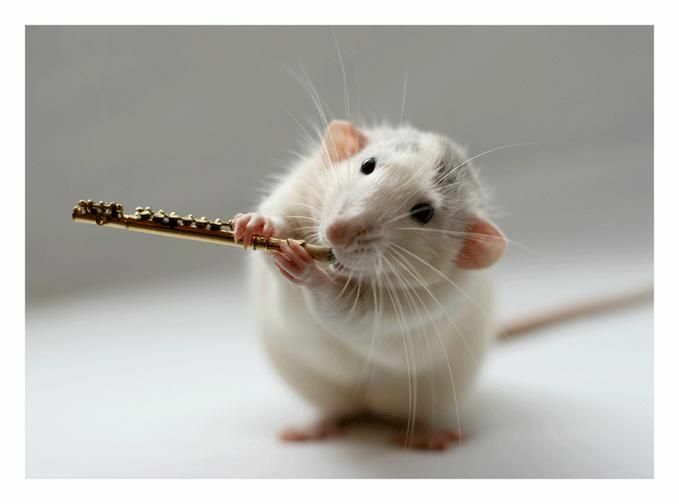 The careful phasing is set on a continuo quasi ostinato. The closing chorale is a four-part setting. 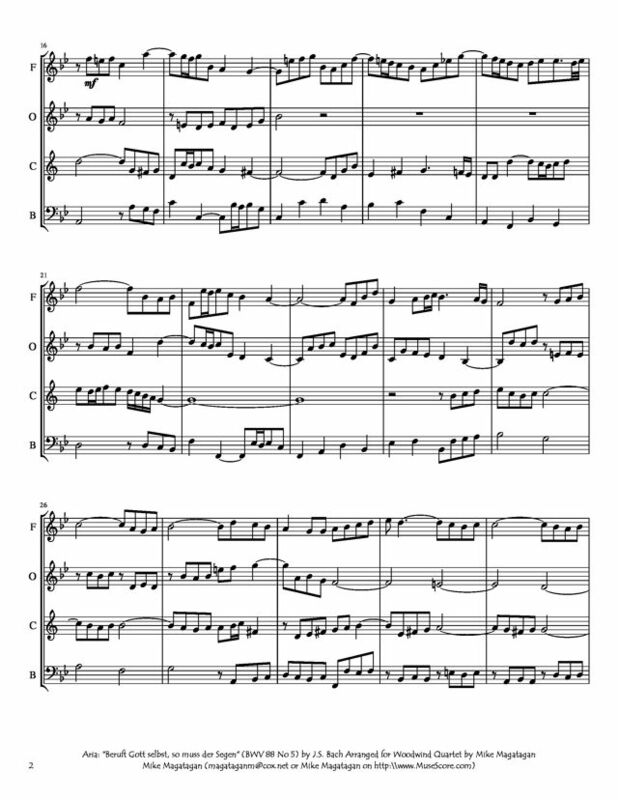 Although originally scored for four vocal soloists (soprano, alto, tenor, and bass), two horns, two oboe d'amore, taille (tenor oboe), two violins, viola and continuo. 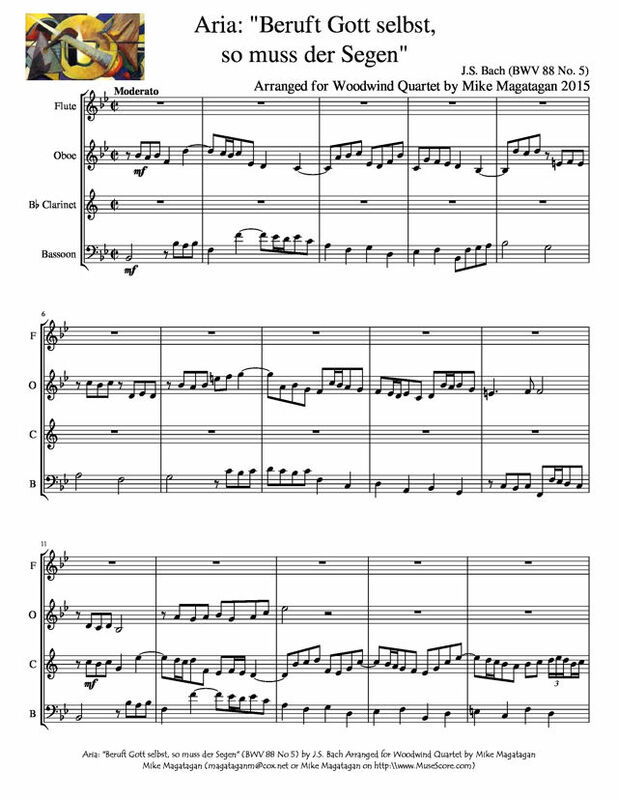 A four-part choir is only needed for the chorale, if at all, I created this arrangement for Woodwind Quartet (Flute, Oboe, Bb Clarinet & Bassoon).